All employers know the importance of talent acquisition, but the reality is that it’s no easy task. Sifting through applications, conducting interviews, hoping to find the perfect candidate–the process is tedious and long. That’s why we started the SXSW Job Market. The Job Market offers businesses the opportunity to tap into the large pool of talent attending SXSW. In fact, last year the Job Market saw 12,501 attendees from 95 countries over two days. This year’s Job Market, which is open to all SXSW attendees as well as free and open to the public, promises to be just as exciting and there are still some spaces left. 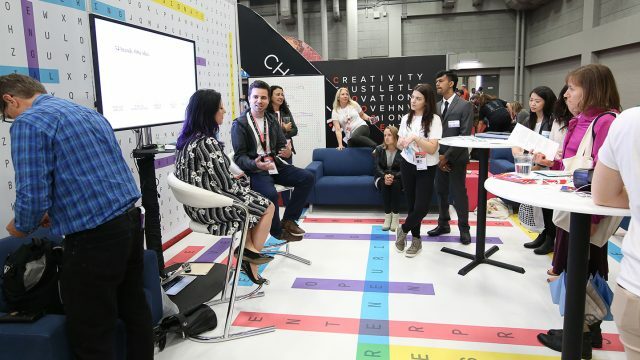 If your company is looking for top-tier professionals, don’t miss your chance to get in front of the thousands of creative, highly-educated and tech-savvy candidates planning to attend the Job Market on March 10-11. Apply now for a space. In addition to a space on the expo floor, all companies that exhibit at the Job Market get a free listing on the SXSW Job Board for year-round recruitment. Don’t miss out! Seize the moment to meet with qualified, awesome job candidates over two days of SXSW. Apply to exhibit at the Job Market now.